302 - Paul Wertico: A life of improvisation - Drummer's Resource: Conversations with the world's greatest drummers and music industry pros. What can be said about Paul Wertico that hasn’t already been said? He’s s world class, 7X Grammy Award Winning musician who’s esteemed career and reputation proceed him. What’s more impressive than his resume is his resolve, fun-loving spirit and improvisational approach to living. Paul is a recent prostate cancer surviver (we cover this extensively in the conversation) but ins’t one to slow down. This is evident in the fact that he has a new record out with his group Wertico, Cain and Gray, has recently released a new book (Turn the Beat Around) and is planning on spreading the word about prostate cancer and the importance of males getting a PSA test. Cascio Music: Cascio is one of the most premier music retailers in the country. For over 70 Cascio has been serving musician’s needs. They pride themselves on getting you the right instrument at the right price. 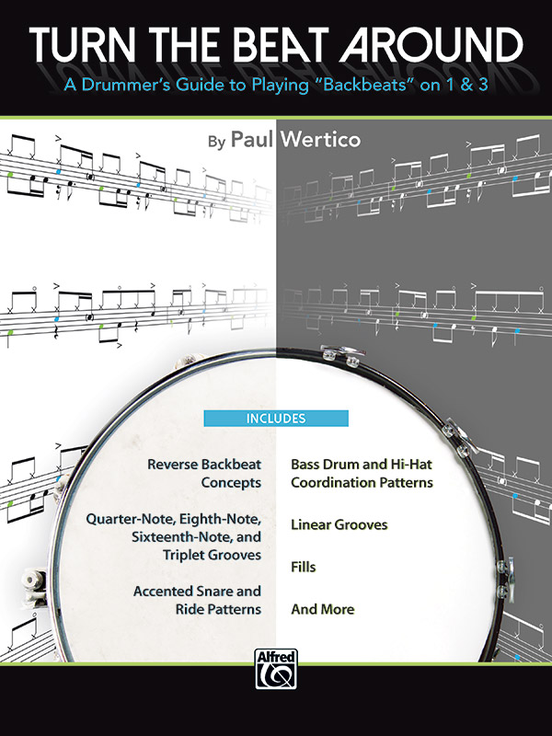 And now, they’re offering Drummer’s Resource Podcast listeners 20% off all purchases over $149. Head over to CascioMusic.com and use the promo code POD20 and save 20%. If you need help with your order, you can also call 1-800-462-2263. Thanks for taking the time to spread the word on early prostate cancer detection Paul and Nick! Lots of awesome stories and insights about drumming and music in general–another great show.